Being aware of the different muscles of the body and their exact location, helps you make your workout more effective and targeted. 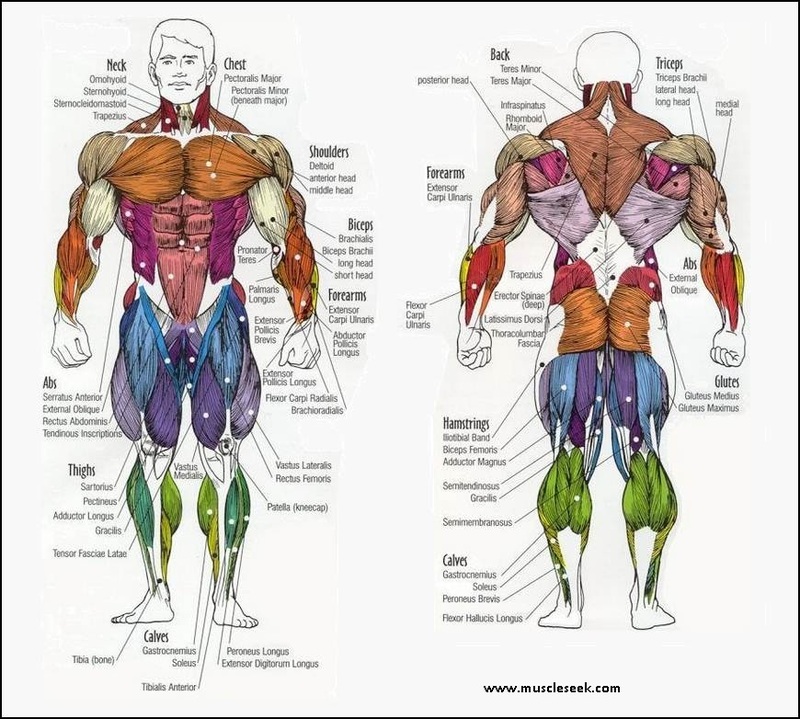 Following is the chart of basic as well as detailed anatomy of human body muscles so that you can hit them properly while working out. it also helps you if you are not happy with the progress of a certain muscle group of your body. By targeting it specifically, you can sculpt your body perfectly. 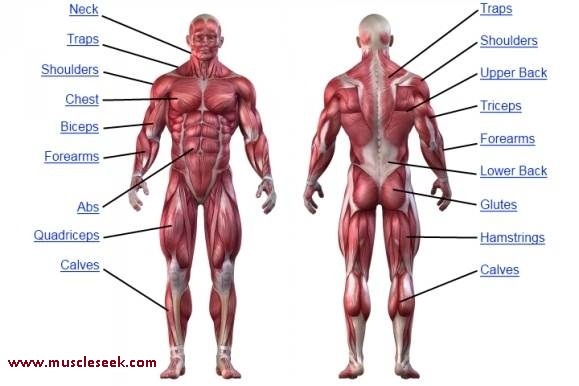 Following is the detailed anatomy of body muscles.